Log on to the Lightspeed.com website and select My Account, Reports. From the Reports drop-down dialog box, select Account List. From the STATEMENTS drop-down dialog box, select your account number. From the reports menu choose Blotter. 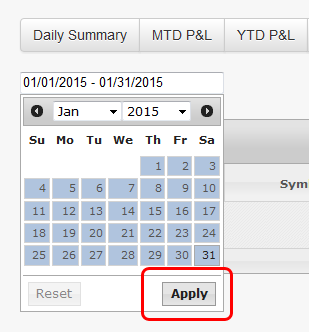 Select the desired date range then click Apply. The trade history will be displayed. Select the option to download the TradeLog CSV format as indicated by the logo shown below. Click the link to download the files. Note, depending on your web browser you may have to right click and choose Save As. The downloaded CSV file will be in a zip format. 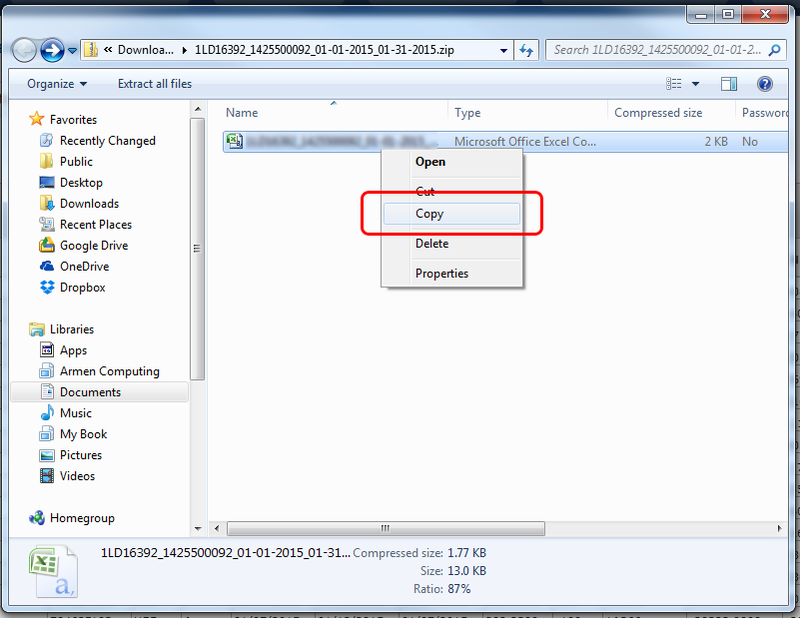 Typically you can open the downloaded zip file then right click on the CSV file, then choose to Copy. Navigate to the "Documents/tradelog/Import" directory, then paste the CSV file in this folder for best results. Make sure you have selected the Lightspeed CSV import filter for this account tab, and click the Lightspeed Imp button on the toolbar. The Lightspeed Import dialog appears. 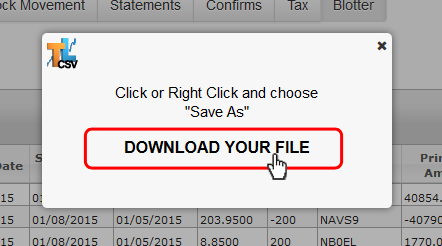 Select the CSV file you downloaded and click on the Open button. Click on the Yes button to confirm your import and save to disk. Clicking on the No button will cancel the import.